You are here: Go to home Breadcrumb Separator Leisure Centres Breadcrumb Separator Taunton Deane Breadcrumb Separator Blackbrook Leisure Centre & Spa Breadcrumb Separator News Breadcrumb Separator Add Golf to your membership for just £5! Add golf to your membership for just £5! We’re pleased to announce that you can now bolt on access to Better Vivary Golf Course onto your Better Health and Fitness Membership! Vivary Golf Course is challenging for players of all abilities. At 4,580 yards, the par 65, 18 hole parkland golf course tests every aspect of your game. With fantastic greens, numerous bunkers, water hazards and tight out-of-bounds areas, it rewards control and accuracy. 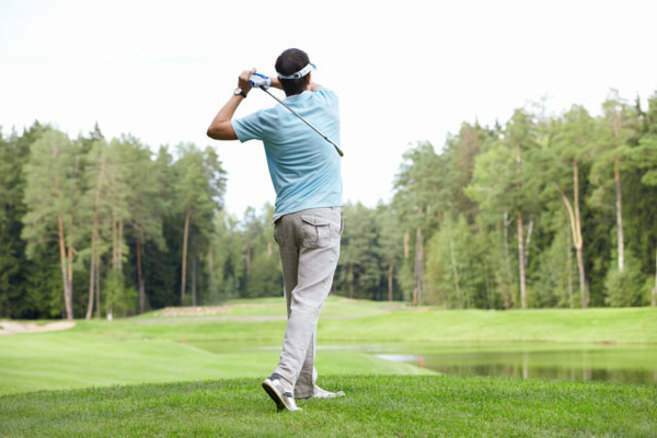 Located in the heart of Taunton, Vivary Golf Course is very easy to access, simply ring, book a tee time and turn up – we can even provide all the gear you need. So if you fancy teeing off in style this spring with access to the golf course plus gyms, fitness classes and swimming in Taunton and Wellington, simply speak to a member of the team at your home leisure centre and they’ll add the access on for just £5 extra a month! Not a member? Pick up a membership that includes all the above for just £46 a month or £460 for the whole year. For more information, please call the Vivary Golf Course on 01823 333875.